While driving today I noticed something exceptional. It was raining when I pulled out my car the glass was full of droplets, ideally I would have switched on the wiper and brushed aside the water to clean the glass, for a change I didn't do that I just let the water fall on the windshield and to my surprise even after glass was completely drenched in water still I could clearly see from the glass without any problem. I drove for almost ten odd kilometres and never needed to use the wiper, I could see very clearly through the glass soaked with water. Here is the lesson I learnt from this small incident. 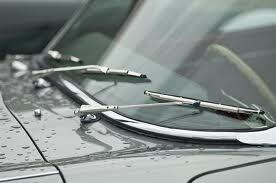 Windshield is our mind, thoughts rain in and on the mind when these thoughts litter our mind we switch on our wipers i.e. we start reacting to these thoughts though they seem receding back but they wont go away however if you neglect these droplets and don't switch on the mental wipers we can still see clearly hence though you may use the wipers in real life when its raining :) don't use mental wipers to clear your thoughts just ignore them, get over them !! !